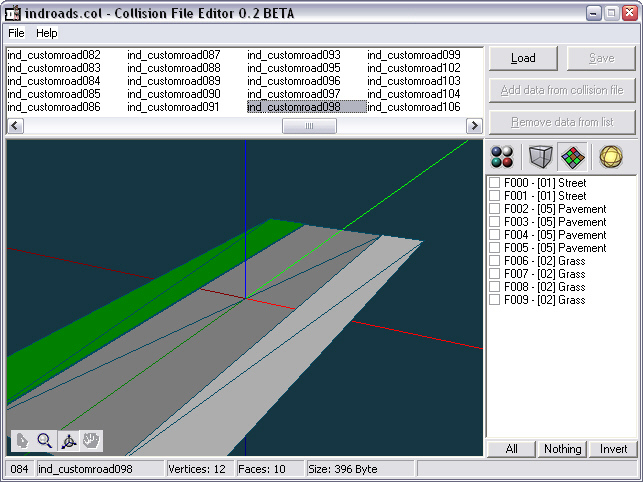 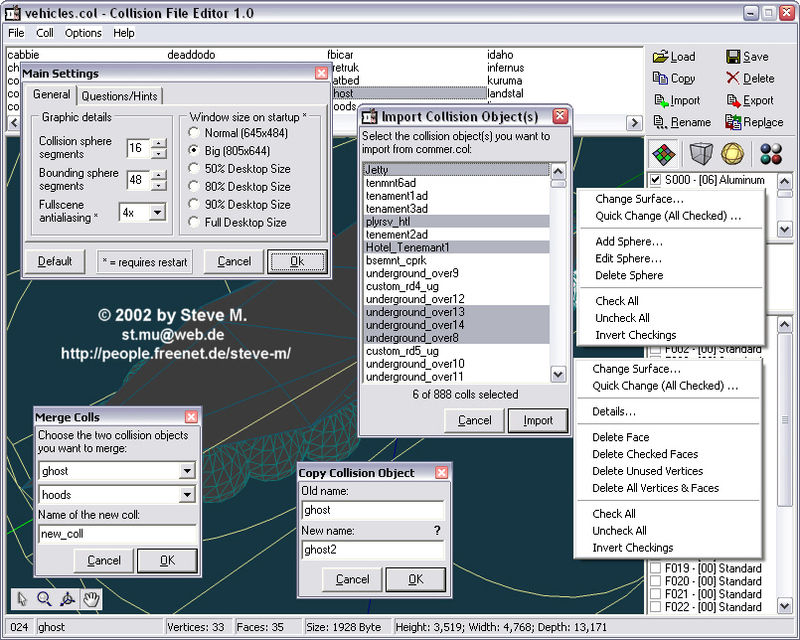 NOTE: This tool is outdated, please use the new Collision File Editor II instead! 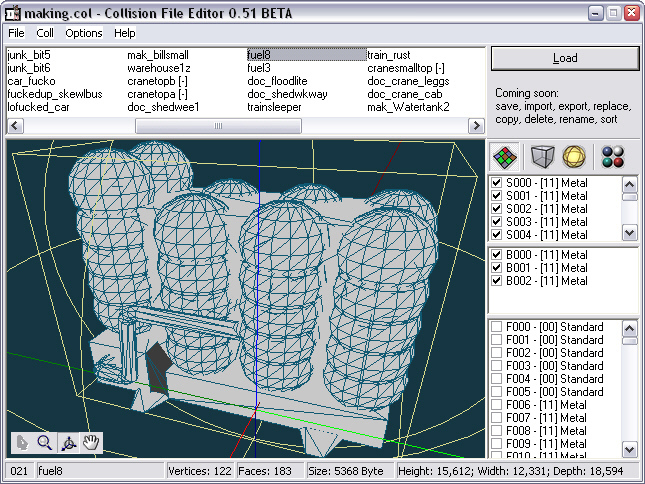 CollEditor works for both GTA3 and Vice City, but not for San Andreas. 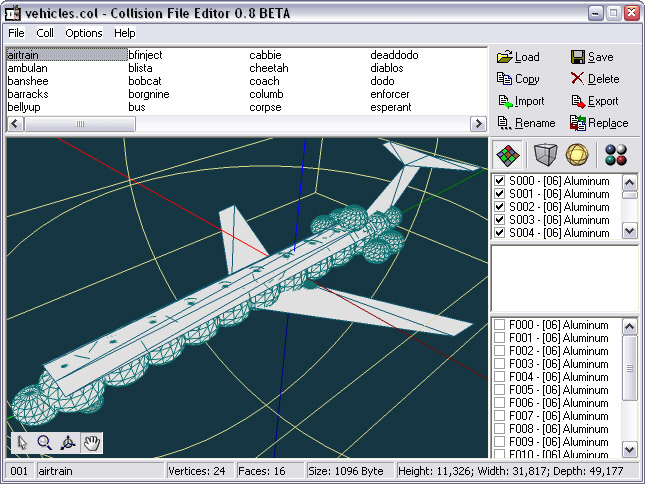 The program requires D3DX81ab.dll to work. 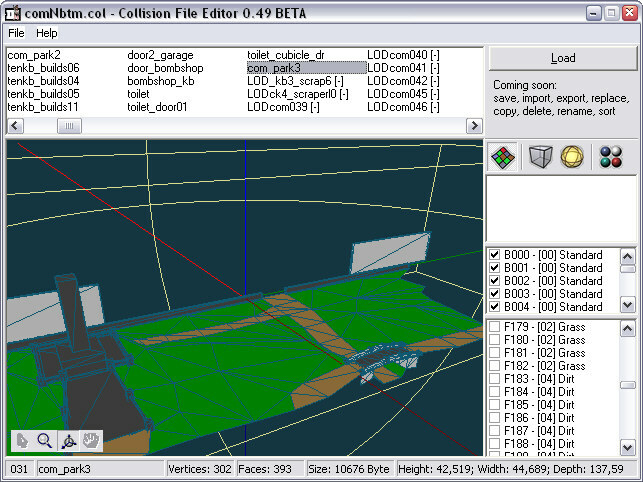 This program might not work properly in Windows 98 or ME.